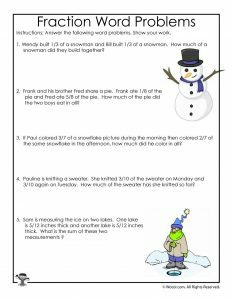 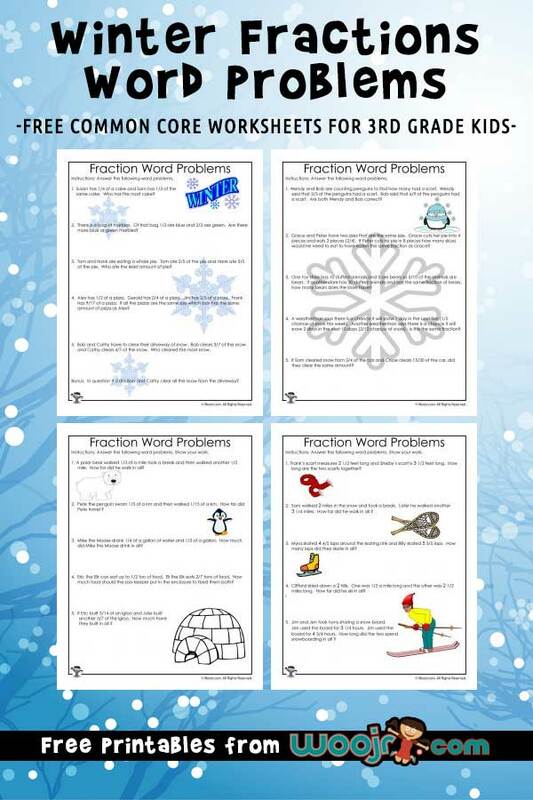 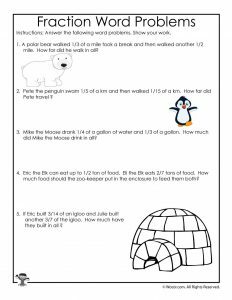 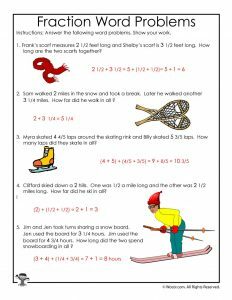 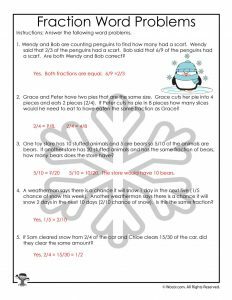 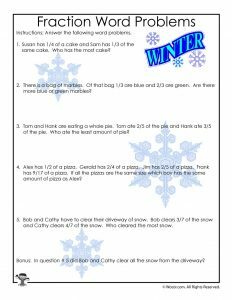 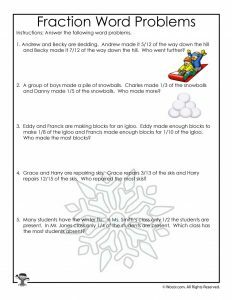 Here’s the latest addition to our ongoing series of 3rd grade math worksheets: Winter fractions word problems! 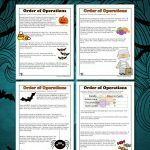 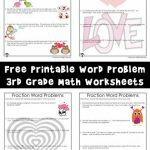 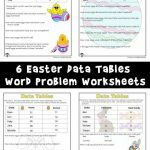 as with all of the high-quality worksheets in this series, they correspond with the 3rd grade math curriculum guidelines provided by common core. For example, 3rd grade students should be working on fractions at this time of year! 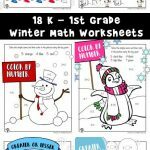 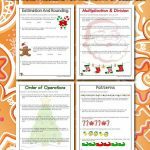 With fun clip art such as snowflakes, penguins, snowmen, igloos and winter sports, these worksheets are both cute and functional for your classroom.